This online course in Domestic Cat Care will appeal to cat lovers who want to learn everything they can about looking after their own cat and anyone who works with cats in a charitable or professional capacity. Written by industry relevant professionals and delivered online via distance learning, the course will give you a firm understanding of how cats should be looked after, to ensure their physical and psychological well-being. Ever since what is thought to be the African Wildcat was domesticated by the Egyptians, to hunt and kill vermin around 4,000 years ago to protect crops from rats and mice, domestic cats have been very important to humans. In fact they were so successful in decimating the rodent population in Egypt, there was less disease and death, more food available for the poor and so a better quality of living for ordinary Egyptians, meaning there was probably less chance of a revolt. This led to cats being revered as expert hunters and associated with the goddesses Bast, Isis and Pasht, with anyone guilty of killing a cat immediately executed for their heinous crime. Later domesticated cats were also adopted to control vermin by three of the greatest empires of the ancient world, Greece, Rome and Persia and eventually they arrived in most other places in the world. However the middle ages were not a good time to be a cat in Europe. They were rumored to be connected with witchcraft and so many thousands were slaughtered and this could have played a part in the spread of the Bubonic Plague, because there weren't enough cats to kill all the rats, the main carrier of the disease. Prevalent throughout Europe, the Black Death is thought to have killed between 30 and 60% of the population, possibly as many as 100 million people. In these more enlightened times, the symbiotic relationship that has developed between Homo Sapiens and Felis Catus over 4.000 years has become mostly one of mutual companionship. 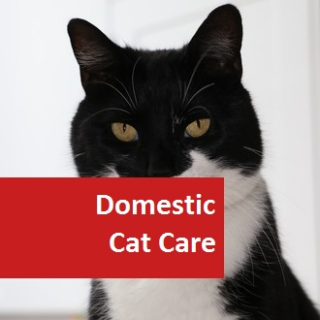 Investigate aspects of domestic cat care and the basic duties of owners and professional carers. Develop understanding of basic biology – anatomy and physiology – and associated processes. 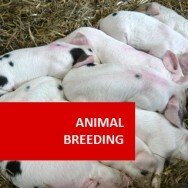 Examine variations between different breeds by focusing on common health issues, temperaments and characteristics. 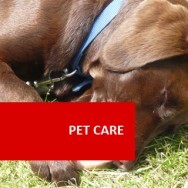 Recommend different preventative care schedules and learn how to recognise and treat ill health. 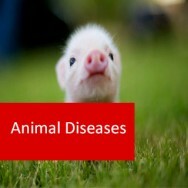 Develop clear understanding of parasites, ailments and disease, treatment options available and the significance of veterinary assistance. Investigate feline nutrition and outline an appropriate diet for the domestic cat specific to their needs. 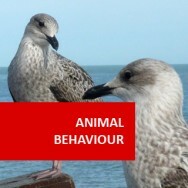 Distinguish between normal and abnormal cat behaviour, extending this to develop appropriate strategies for dealing with problem or undesirable behaviours. Assess the current breeding industry and demonstrate ethical standards in cat breeding and rearing kittens. Investigate and evaluate services which exist in the current cat industry and propose a small business idea which is of personal interest. Consider 4 specific areas of cat care. For example, one area may be grooming. Find out about the products and services which are available in your locality for each area you chose. Choose one part of the body to research, for example skin, digestive system etc. 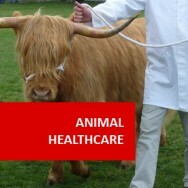 Visit as many veterinarians that you can and ask them for information leaflets or flyers they have which relate to the health of that area of the body. Take notes on any repetition that you notice with regards to the health and caring for of that part of cat’s body. Contact breed associations of your choice in your own country and investigate the specific standards they set for the physical characteristics of a particular breed (to be registered as pedigree). Using online resources available to you, now investigate some associations in a different country. You want to find out if there are similarities or differences in the standards of that country for the same breed you investigated in part A of the task. Research attitudes into neutering in your locality. For your research to have validity, you will need to contact between 8-10 people who own or work with cats and have some questions devised which you can ask them to draw out information on their attitudes and views about neutering. 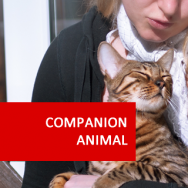 Find at least 3 cat owners who have cats with former or ongoing physical illness. Discuss with them the illness and the treatments which the cat undergoes. Ask questions about the how the illness affects the cats overall wellbeing. Ask about the nature of the illness and the long term management of the illness. Look at foods available in the local the supermarket and take notes of the nutritional components of the foods. Research specialist diets for specific health concerns e.g. urinary stress or hairball control and make contrasts between the products available. Limit this to 6 products. Research the differences in the diets of indoor and outdoor living cats. Make comparisons of nutritional deficiencies or excesses. stalk, run, pounce, catch, kill, eat. Take notes of the different physical positions and levels of exertion in each stage. If other cats were present/nearby during the hunting, you should also take notes of your observations of any behaviour directed at those nearby e.g. aggression. The first signs of illness are often loss of appetite and listlessness. If the cat looks bright, but has missed a couple of meals, there is probably no need for concern, as it is likely that it is getting its food elsewhere. If the cat is listless as well, it is probably a good idea to keep it indoors for a while so that the situation can be monitored. If they are ill, cats will often go into very inaccessible areas, and this is best prevented. Other early signs of illness are: prolapse of the third eyelid, vomiting, diarrhoea, sneezing, runny eyes, straining, crouching, ear scratching, bad breath, head shaking, yowling and dribbling from the mouth or spitting. If a cat displays any such symptoms it needs to be examined by a veterinarian. When a cat is sick, it needs familiar surroundings. Siamese and Burmese cats in particular require attention and affection when ill to ensure a good recovery. Cats recuperating from an illness are also more likely to eat better at home than in a surgery. For this reason, vets will only keep a cat in a surgery during the most critical stages of an illness. A vet will rely on any information you can provide as to the cat’s history so be observant. Observe the rise and fall of the chest. Feel for air against your cheek. • If NO, feel for pulse. Does the cat have a pulse? Feel for the femoral artery located in the groin. • If YES, begin artificial breathing. • If NO, begin CPR. 1. Lay cat on flat surface with right side down. 2. Open mouth and clear any foreign bodies blocking airway. 4. Complete one breath every four to five seconds (12 to 15 per minute). 5. Continue until the cat breathes again, or as long as the heart is beating. 7. Place fingers and thumb on either side of the sternum, behind the elbows. 8. Compress the chest firmly six times; administer a breath. Then repeat. (80 to 120 compressions per minute). 9. Pause every two minutes for 10 to 15 seconds to check for pulse and spontaneous breathing. 10. Continue until the heart beats and cat breathes on its own, or until no heartbeat is felt for 30 minutes. Warning: DO NOT induce vomiting if your cat has already vomited, is unconscious, convulsing, swallowed an acid, sharp object, poison, chemical or petroleum. Induce vomiting by giving Hydrogen peroxide 3% (one teaspoon per five pounds or 2.3 kg of body weight) every ten minutes or until the cat vomits. Repeat three times only. Syrup of Opecac (one teaspoon per ten pounds or 4.6 kg of body weight). Once only.